It is only four days to go for the Independence Day celebrations. It appears that the positive input from the Minister of Foreign Affairs has come to make the celebrations more meaningful. Earlier indication was to have the day on the theme of ‘wholesome motherland, dignified tomorrow’ (piripun maubimak, abiman heta dinak). That was adequate if Sri Lanka were to celebrate the event under normal circumstances. However, Sri Lanka is now moving away from the previous Rajapaksa policy of ‘belligerence’ and ‘militarism’ and therefore it is more pertinent to have the theme of ‘National Unity and Reconciliation’ in addition or in its place. It is now announced that ‘A Statement of Peace’ will be made at the 67th Independence Day celebrations based on some of the key principles of the LLRC Report. The Cabinet has approved a joint proposal by the Acting Foreign Minister and the Minister of Home Affairs to this effect on Wednesday. There are two organizations, one based in Colombo and the other outside the country, in Sydney, which have proposed that the National Anthem be sung in both Sinhala and Tamil at the Independence Day celebrations as a mark of country’s commitment to national unity. The Colombo based organization is the Friday Forum (FF) and the Sydney based organization is the Sri Lanka Reconciliation Forum (SLRF). This is apart from several individuals and writers raising the issue of the bilingual national anthem. While the Friday Forum issued a public statement (25 January 2015) to this effect among other matters, the SLRF has directly written to the President, Maithripala Sirisena, on this and several other matters (27 January 2015). Let me first quote the relevant section from the Friday Forum statement below. Before quoting the said letter to the President by the Sri Lanka Reconciliation Forum, let me briefly outline the importance of emphasising ‘national unity and reconciliation’ at the Independence Day celebrations. When the Independence Day was celebrated in 1948 and even thereafter, for some years to come, the event resembled one of the colonial events with few of the artifices of the new nation state. The flag and the national anthem were of the latter genre. As Nira Wickremasinghe noted (Sri Lanka in the Modern Age: A History), it was like the Golden Jubilee celebrations of Queen Victoria with flag hosting, military parades, religious ceremonies, speeches and acts of charity. The acts of charity included the distribution of rice packets to the poor and five cents! The elitist nature of the celebrations largely changed after 1956, but instead, almost the exclusive Sinhala character of the event predominated. From the beginning, there was an attempt to over- determine the Sinhala identity over the celebrations. This was a usual ethnic competition. It was not only a question of equality but the lack of inclusiveness. Sri Lanka adopted the National Anthem in 1952. There were no real qualms of having it in Tamil at the beginning. In many celebrations, particularly in bicultural contexts, it was sung in both languages. An ambiguity was created when the Sinhala only version became incorporated in the 1978 Constitution as the Fourth Schedule. There was no particular necessity for a constitution to incorporate a national anthem at all. Ironically, it was the same constitution which recognized Tamil as a national language and thereafter as an Official Language in the 13th Amendment in 1987. The matters became much worse during the war. There was retaliation. There were instances where the national anthem or even the national flag could not be used in Tamil speaking areas. As Apratim Mukarji (Sri Lanka: A Dangerous Interlude) reported, the national anthem could not be used even at a sports event in Vavuniya in October 2004. This happened during the ceasefire period. One of the most affected Independence Day celebrations because of the war was in 2008. A number of bombs exploded setup by the LTTE in Colombo where 12 civilians plus a soldier were killed. Perhaps it was again as a retaliation to some of these incidents that the military did not allow the singing of the national anthem in Tamil language in Northern areas after May 2009. They insisted that it should be sung only in Sinhalese, even by the Tamil (only) speaking school children. However, retaliation was not the correct policy on anyone’s part. Then there was mistaken ‘theorization’ that only in one language that a country should have its national anthem overlooking many of the other countries like South Africa, Switzerland, Canada, Belgium etc. The ‘theory’ became accepted by the Rajapaksa cabinet in 2010. Much worse was the way the Independence Day celebrations were held after 2009. It again took an imperial glamour. The Rajapaksas went around the country with heavy military hardware to commemorate not the independence but the war victory in May 2009. I never had any issue with defeating the LTTE militarily. It was a political or a military necessity which should have been kept at that. Apart from certain atrocities that were justified, directly and indirectly, ‘triumphalism’ was the tone of the Independence Day celebrations. It is not only the Tamils in the North who felt excluded from the Independence Day celebrations. Daniel Bass who researched on the issue (Everyday Ethnicity in Sri Lanka, p. 43) commented that “Sri Lanka’s Independence Day on February 4 has little meaning to most Up-country Tamils…” This was not the case among the Muslims previously, but things have changed considerably in recent years. It is not only in the North that these type of problems of conflict existed in the country in the past. When R. Premadasa was elected to the Presidency in January 1989, one of his problems was what to do with the JVP? He utilized the Independence Day celebrations to appeal to the nation to desist violence and come to the main stream. It didn’t work immediately, but had an impact in the long run. That was a sensible approach for social reconciliation, elimination of social alienation. 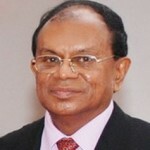 No one can say the situation is similar today or Premadasa was completely correct particularly in respect of the LTTE. The situation today is much better. The LTTE is no more. The major political party of the Tamil community, the TNA is cooperating. Even they sit with the JVP and the JHU in the National Executive Council. Therefore, what Maithripala Sirisena could do at this Independence Day celebrations as the President is to make a genuine appeal to everyone and all communities to work towards reconciliation. In respect of the national anthem what might be most appropriate is the recommendation of the LLRC. After observing two views expressed by those who gave evidence, the LLRC recommended the following in para 8.296. This is exactly what the Sri Lanka Reconciliation Forum (Sydney) has also asked from the President, in a letter dated 27 January 2015 among other things. The Reconciliation Forum is an organization of a group of Australians of Sri Lankan origin belonging to all ethnic communities particularly living in Sydney and New South Wales with an open door policy for anyone interested in reconciliation to join. They pursue reconciliation both in Sri Lanka and in Australia. They are particularly cheerful about the formation and the composition of the National Executive Council which includes almost all the relevant political parties and a special mention is made about the TNA’s participation. What they have not said about is the desirable inclusion of the leader of the opposition in the Council. The focus of their letter being on reconciliation, they have appreciated the following three steps so far in that direction. Appointment of a civilian Governor for the Northern Province. Lifting of the ban on overseas passport holders to visit the North and East. Appointing a Committee to look into the military presence and land related issues. As it was mentioned previously, they have expressed that, as they say, “We hope that you would allow and encourage the National Anthem to be sung in both Sinhalese and Tamil beginning with this Independence Day celebrations.” One of their major focuses has been on the “full implementation of the LLRC recommendations,” by “ensuring a well-resourced and effective mechanism firmly in place to do this.” The letter advocates a synergy between good governance and reconciliation as a corollary of democratization in the country and says the following. Another highlight of their letter has been on human rights. Therefore, they have emphasized “the importance of protecting and promoting human rights through a combination of channels, including legislation, institutional mechanisms and education” and expressed the view that “This, we believe, should have an additional focus on ethnic, religious and social reconciliation and understanding.” The following appears to be their motive behind their letter and the efforts for reconciliation. It appears that this is only an initial letter that they have sent. They have said, “As it is not possible to put forward all our proposals in this short letter, we would appreciate if you could kindly inform us of any institution or person with whom we should communicate to submit our proposals and discuss ways in which we can contribute.” Perhaps what they are pointing out is the lack of a focal point for reconciliation at present (i.e. a Minister or President himself taking up the initiative) for them to submit their proposals or ideas. The letter is signed by Samira Wanigatunga, Sris Ponniahpillai and Shanaz Razeem, on behalf of the Sri Lanka Reconciliation Forum. 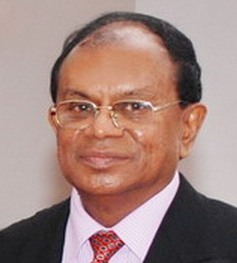 Copies of the letter also have been or are being sent to the Prime Minister, Ranil Wickremesinghe; Minister for Resettlement, Reconstruction and Hindu Religion, D. M. Swaminathan; Minister of Foreign Affairs, Mangala Samaraweera; High Commissioner for Sri Lanka in Australia; High Commissioner for Australia in Sri Lanka and all Members of the National Executive Council.